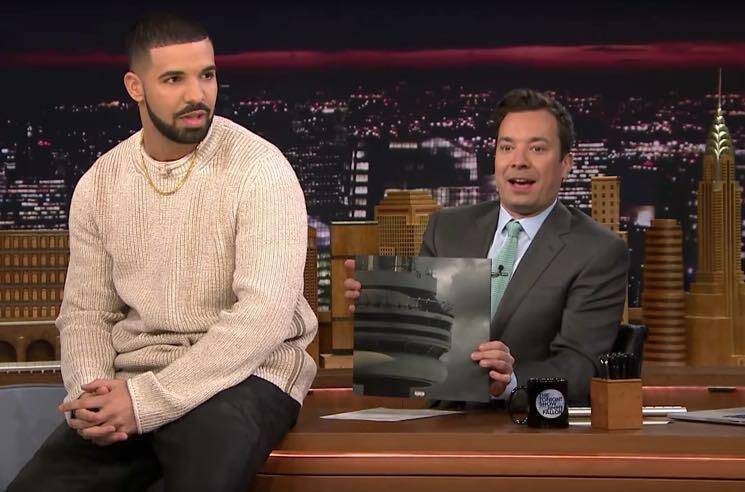 Drake appears on “The Tonight Show.” Drake linked up with former “Saturday Night Live” cast member Jimmy Fallon on Thursday (May 12). The two shared some laughs throughout the course of the interview, which included a segment on Drake’s father. According to Drizzy, Dennis Graham hasn’t had a chance to listen to Views just yet. He’s instead vacationing in Shanghai. The laughs ensued when Drake and Jimmy placed mini Drakes on their shoulders, a nod to the Views cover art and memes that followed. Things got a little more action-packed with a game of “Faceketball.” Drizzy and Jimmy put basketball hoops on their faces as part of a game. And yes, they both got to dunk on one another. The fun and games are a warm-up for Drake’s “SNL” showing this weekend, where he will return as host and musical guest. He teased the appearance this week with a series of promos co-starring “SNL” cast member Leslie Jones.